The MAYF is a fundraising organization dedicated to providing, with parity, the best possible facilities, equipment, uniforms, supplies and support for the Mt Airy Senior High School (MASH) athletic programs for both boys and girls. The Mount Airy Youth Foundation (MAYF) is a non-profit organization operating in Mt Airy, N.C., filing income tax under section 501(C) of the Internal Revenue Code. As such, we are exempt from paying income tax and all donations to us are “tax deductible”. The MAYF is a volunteer organization. We do not have an office space, only a small storage unit for signage and supplies. 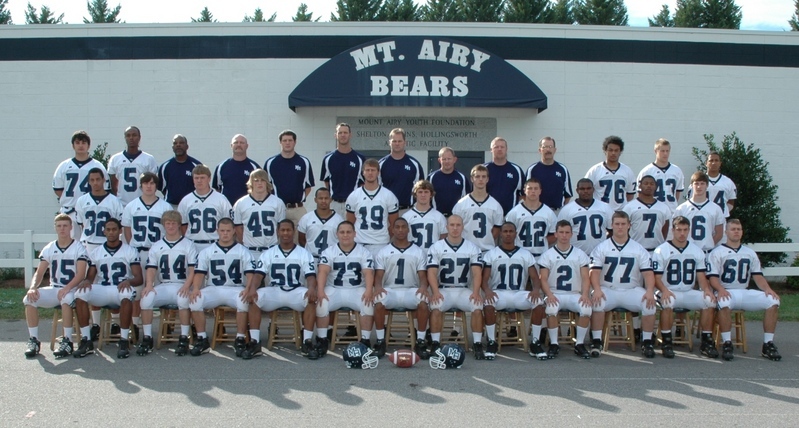 Since the mid 1980s, the MAYF has raised 1.5 million dollars for the Mt Airy High School athletic programs! The Foundation continues to host many events and advertising programs throughout the year (see programs section). Al Peavy provided steady and passionate leadership of Foundation until his death in February of 2018. There have been many steadfast Directors and Presidents that have contributed over these many years. A summary of this history can be found by opening the PDF file. For our full history, please view it here as a PDF file. To provide, with parity, the best possible facilities, equipment, and support for all of our student athletes. The Mount Airy Youth Foundation is a Non-Profit, Fundraising Organization dedicated to the advancement of student athletes at Mount Airy High School.